An ideal treatment to help you detoxify. You will be left baby soft glowing skin after a vigorous Balinese massage and an invigorating body scrub. 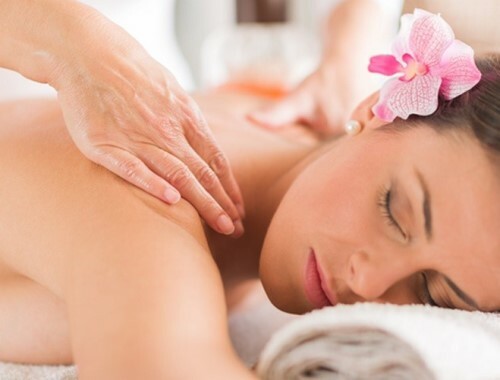 Brighten your skin tone while you enjoy all the benefits of a relaxing Balinese massage. This one hour treatment includes all the benefits of a good Facial but adapted for the back. This two hour luxury ritual includes a sublime Facial followed by a silky body scrub and relaxing Balinese massage. A ritual fit for a queen. This 1hr45mins body treatment begins with a vigorous slimming massage followed by an intensive body wrap. This luxury ritual starts with a relaxing Balinese massage, followed by a silky smooth body scrub and ends with a delicious body wrap, for special occasions. This short but sweet body treat includes a half hour Balinese massage, followed by a delicate body scrub all within an hour for those in a hurry. Pampering for your legs and thighs. One hour on-stop combination of Reflexology and Balinese massage. This traditional Balinese hair spa treatment includes a protein hair treatment applied and massaged in the Balinese way. Hair is then steamed while the neck is massaged delicately. Bliss for the hair and shoulders! An absolute must. Eliminate all dead cells and reveal beautiful, soft skin that breathes! A quick treat for tired skin, after illness and general fatigue or if you have had too much sun!